Breanne Kroeker takes a shot during Butler’s win over Greenville on Tuesday. 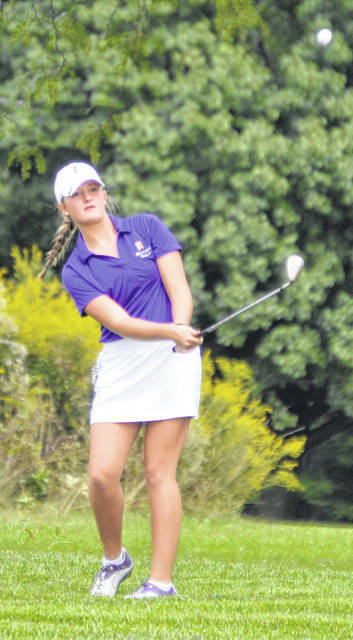 Allison Zebney hits an approach shot during Butler’s win over Greenville on Tuesday. Lexi Crawford hits an approach shot during Butler’s win over Greenville on Tuesday. Hailee Perry takes a shot during Butler’s win over Greenville on Tuesday. 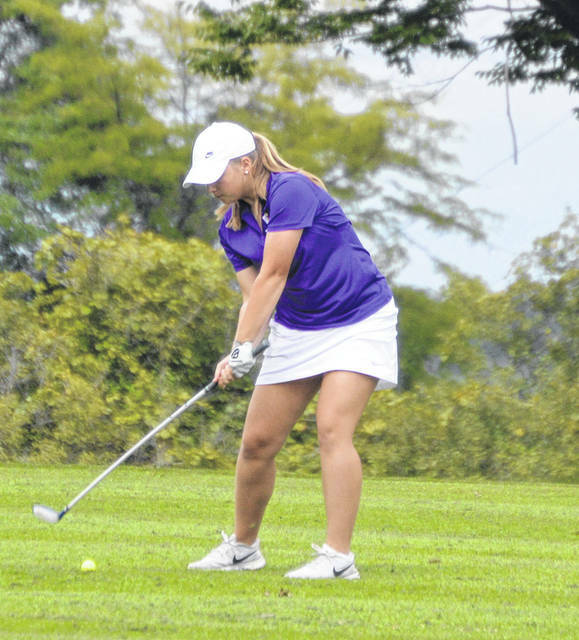 VANDALIA — The Butler girls golf team improved their season record to 7-3 overall on Thursday when they hosted Fairmont at Cassell Hills Golf Course. It was their third win of the week after wins over Greenville and Miamisburg. 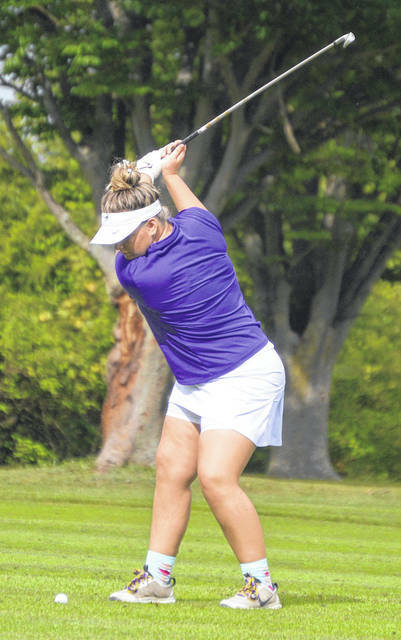 VANDALIA —Butler shot a season best 194 on Tuesday wit Hailee Perry and Breanne Kroeker each firing 46, Allison Zebney a 51, and Lexi Crawford also shooting 51. 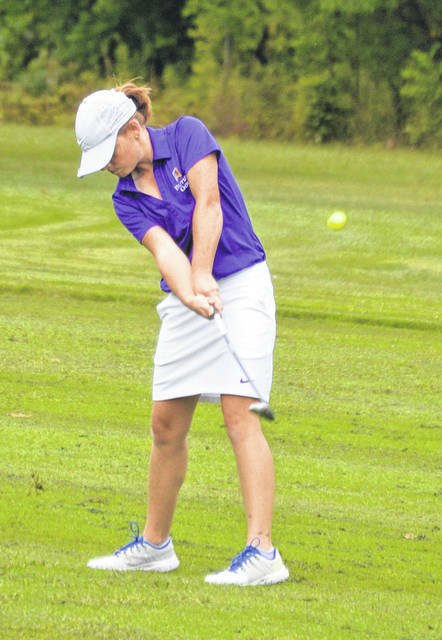 VANDALIA — The Lady Aviators overcame a layoff and very wet conditions after several days of soaking rains t defeat Miamisburg 218-213 on Monday, Sept. 10. Lexi Crawford was low with a 50, Hailee Perry shot 52, Allison Zebney shot 56, Branne Kroeker had a 60, and Hailey Zeller had a 61. Butler will host Alter, Piqua, and Tippecanoe this week.